We had a wonderful sunny summer afternoon at our 2nd annual barbecue at Charles Eccher Park. The spring fundraiser had food, prizes, and an ultimate disc tournament for all of the PMF supporters to enjoy. There was a great turnout as we saw many familiar faces along with some new ones, with a few current students from North Rockland High School in attendance. 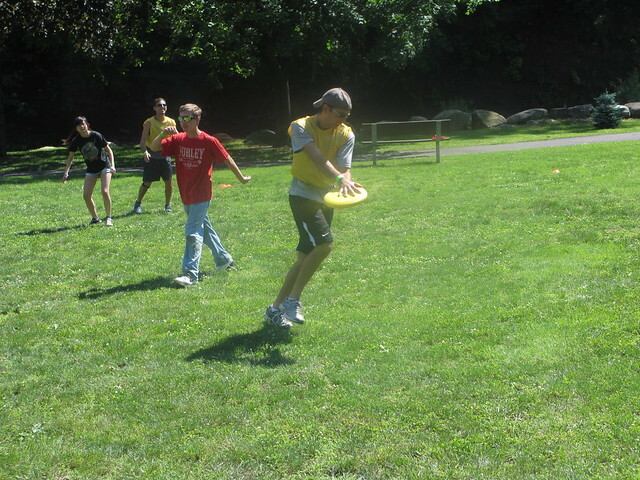 The ultimate disc tournament had great games and came down to a 1 score victory by our champions. Some of the raffle prizes for the day included Boulders Baseball gift basket, Yankees tickets, a gift certificate to Lynch’s, and even medals for our champions. In the foundation’s third year of existence there continues to be growth in both monetary scholarships and overall support for the cause. The PMF’s network has been generous as always this past year and we will be looking to continue our trend of paying it forward and providing support for NRHS seniors. The proceeds from this fundraiser will be awarded to scholarship winners in the 2015 graduating class. None of this would be possible without your support. Please let us know if you would like to contribute in any way. We’re always looking for extra helping hands!